* Leo outlines are views on an underlying graph. * Outline nodes can reside in many places within a single outline. * Leo is fully scriptable in Python. 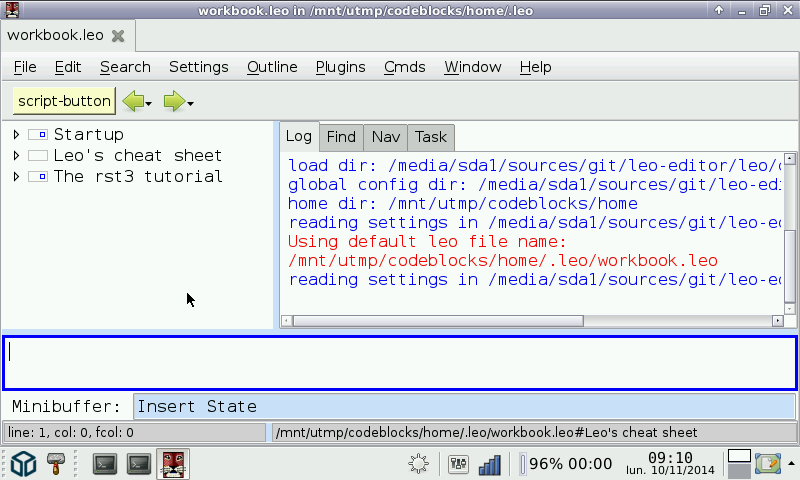 * Leo scripts have full access to Leo's source code and all outline data. * Outline-oriented markup generates external files from outlines. Note that you will need the wxPython PND (at leat Build 08) for it to run (like with all "runtime" PND, you don't need to launch it, it just have to be present and will be automagicaly used).